Why would I need self storage in Sherman Oaks, CA? There are a variety of reasons why you might need self-storage in Sherman Oaks, CA. How much is a storage unit in Sherman Oaks, CA? The cheapest storage unit in Sherman Oaks, CA is $137.00 per month. What size storage units do you have available in Sherman Oaks, CA? In Sherman Oaks, CA we have sizes that range from 5'x5' to 10'x10' to suit your storage needs. How much is it for a 5'x5' storage unit in Sherman Oaks, CA? The cheapest 5'x5' storage unit in Sherman Oaks, CA is $137.00 per month. Situated in the San Fernando Valley area of Los Angeles, Sherman Oaks has long enjoyed a reputation as one of the Valley's hippest neighborhoods. Thanks to its location at the nexus of the 405 and 101 freeways, Sherman Oaks is one of the most accessible neighborhoods in the Valley. With welcoming public parks, an attractive retail core and the rest of Los Angeles just minutes away, the community is a popular choice for people looking for a comfortable suburb of LA. The land that's now host to the Sherman Oaks community began as a home to the Tongva Native Americans. During the late 1700s, the Spaniards, led by Gaspar de Portola, arrived to take the land for their own. The land changed hands after Mexico earned its independence from Spain and once again when the United States invaded and claimed the area. For the next several decades, the area was used for wheat farming, with just a few rural homes dotting the landscape. Sherman Oaks got its start in 1927, when Moses Sherman subdivided the 1,000 acres of land that would eventually become the suburban community. He sold each acre for just $780, using business expertise he had gained as a leading developer of the Los Angeles Pacific Railroad. Businesses and homes began to fill the area through the 1940s and '50s, attracting many celebrities who wanted to escape the metropolis of Los Angeles. Throughout the second half of the 20th century, Sherman Oaks saw a rush of modernization balanced by a newly-emerging focus on preserving the community's natural areas. Business is booming in Sherman Oaks and the San Fernando Valley, and a variety of companies make their home in this area. Motion picture studios like Universal Studios, Disney, Warner Bros. and DreamWorks Animation keep headquarters in and around the Valley. Aerospace companies like Northrop Grumman also provide thousands of jobs in the area. 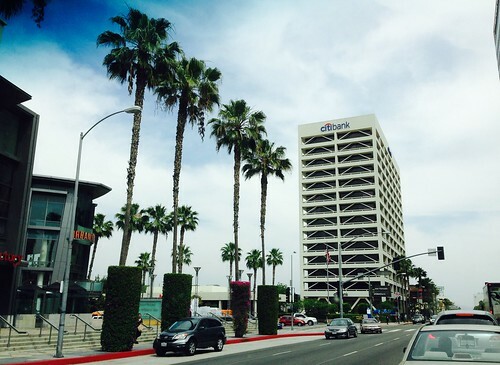 Countless business and professional services companies also operate in the Sherman Oaks community. In Sherman Oaks and the Greater Los Angeles metro area, major industries include trade and transportation, education and health services, business services and government. You'll find a number of jobs in the area's quickly-growing industries, including leisure and hospitality, education, health services and information technology. The Los Angeles Unified School District serves the public schools of Sherman Oaks. The city is also home to a number of private schools. You can choose from parochial, secular and college prep campuses. Utilities: Southern California Edison, Southern California Gas and the Los Angeles Department of Water and Power are the area's central utilities providers. Garbage and Recycling: You can expect regular collection of your trash and recyclables, provided by the city of Los Angeles. Transportation: The Los Angeles County Metropolitan Transportation Authority facilitates a network of public transportation routes through Sherman Oaks and the surrounding city. If you're planning to use your personal vehicle around town, keep in mind that there are many parking restrictions. To avoid a parking ticket, pay attention to posted signs and be sure to pay parking meters as required. If you're looking for affordable homes in Sherman Oaks, focus your search on the western and eastern edges of the area, as well as along U.S. Highway 101. Sherman Oaks' priciest homes tend to be south of Ventura Boulevard along Fossil Ridge Park, Longridge Park and Coldwater Canyon Open Space. Like in much of Los Angeles, the median home prices here are much higher than the national average. Our lowest priced units in Sherman Oaks, CA average $137.00 per month. 23 people have reserved units in Sherman Oaks, CA in the past 30 days. There is 1 location within Sherman Oaks, CA's city limits.